Castle Howard is perhaps the most famous stately home in the north of England and certainly ranks amongst the top ten in the country. 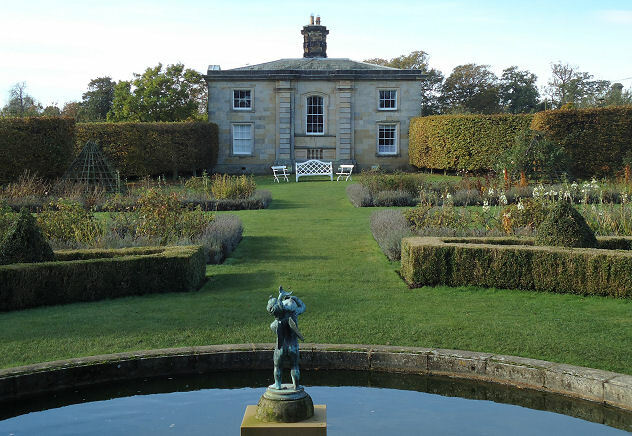 Visitors go for the grandeur of the house built by the architect Sir John Vanbrugh and its landscape gardens with follies. 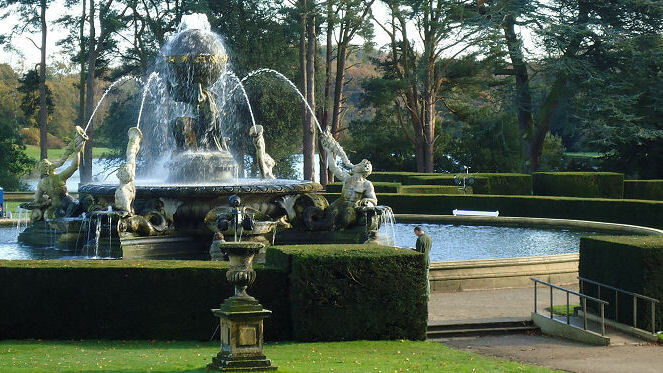 They also go because of a certain television adaptation of Evelyn Waugh’s novel “Brideshead Revisited” where many evocative scenes were filmed around John Thomas’s Atlas Fountain. 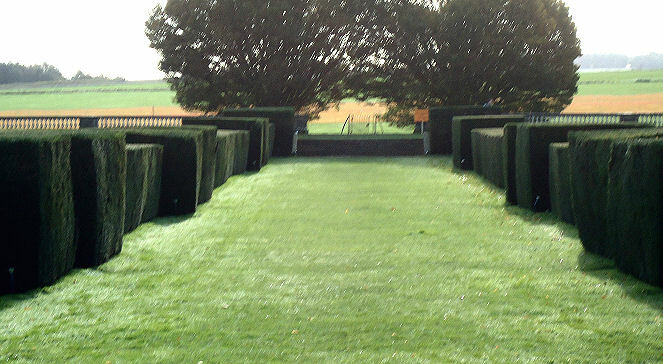 Indeed around the south parterre are the remains of the yew hedging which have been grown as battlements. I say remains as if there aren’t many left but actually they still provide a grand sight surrounding the fountains and delineate a space which is quite theatrical. Indeed many productions and events are held there throughout the year. 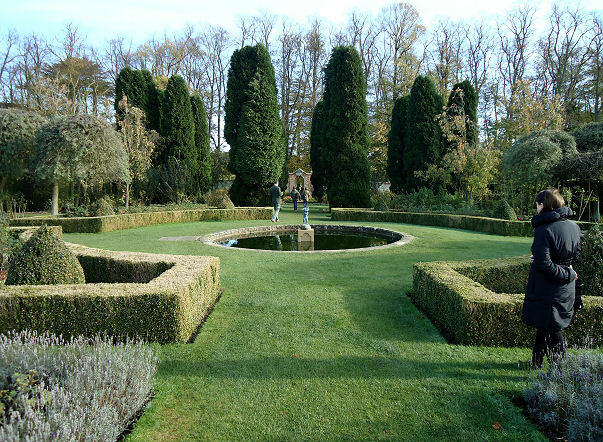 To one side of the house however, immediately behind the Lodge is a garden on a more modest scale which has low level parterres and specimens as well as pool and statuary and is the sort of garden for a gentle stroll on a summer’s evening. Of course this is Castle Howard so the term modest needs to be taken into context but the garden is a great delight after the wide open spaces that you would expect in such a parkland setting. The whole is divided into a series of rooms by yew hedging and there are some fine arches for the fledgling topiarist to marvel at. 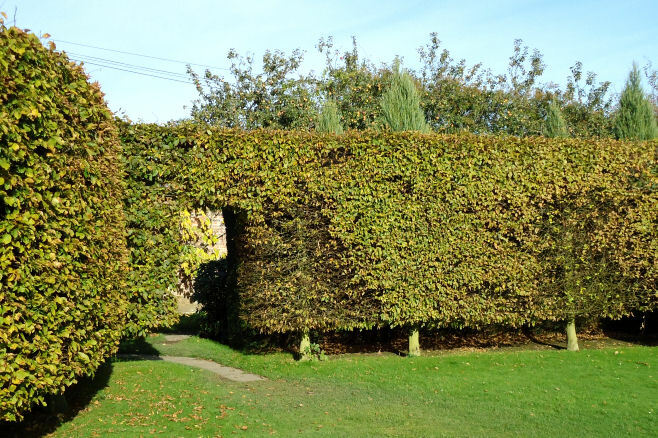 Besides the more usual yew and box you will find beech hedging on a large scale and lavender hedges on the small and the whole gives a sense of measured proportion. 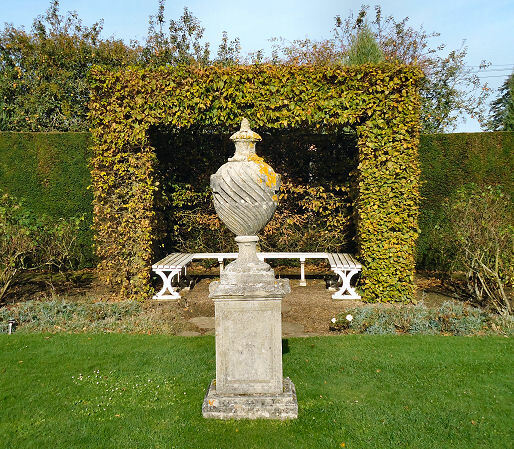 You could almost feel that you had traveled to Rome by the feel of the side garden with its parterres, pools, statuary on a small scale and Italian cypress marking the boundaries. 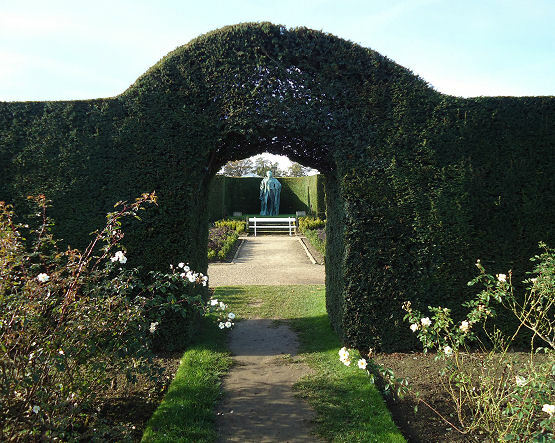 By all means visit the house and see the story of the Howard Family and all their military endeavours but don’t just expect to see estates on the grand scale as the topiary garden is an unexpected delight for those who would normally head for the front door first.